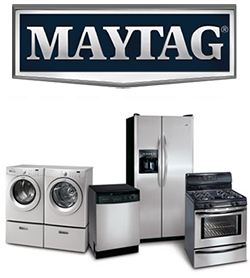 We specialize in repairing and servicing all Maytag large appliances for your home. Our team will help you determine whether or not your appliance is repairable and if it’s more cost effective to just purchase a new one. Give us a try today and call (847) 459-8070 day or night. We offer emergency repair services when you need it most. You can also reach us 24/7 online for non-emergency appointments by fill out our short form below. Our team will fix your busted Maytag appliance the same day. Area Appliance Service is located in Buffalo Grove and Arlington Heights, but our mobile vans extend across the surrounding suburbs. Our team is the standard when it comes to Maytag appliance repair. We offer prompt, professional in-home repairs with about six decades of Maytag repair experience. Our seasoned technicians are professionally trained, licensed, bonded and insured. Our vans are stocked and filled with the most common Maytag parts and supplies so we can make the repairs same-day. We will expedite repairs to your Maytag appliance efficiently and correctly the first time around. We DO NOT service or repair Maytag manufacturer’s warranty work. If you would like to get manufacturer’s warranty service, please refer to your Maytag appliance owner’s manual for their warranty hotline. 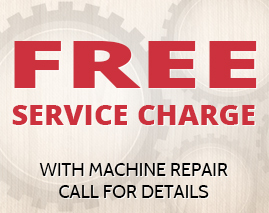 Schedule Service for Your Maytag Appliance Today!